Short sales in South Miami can be great opportunities for savvy buyers. While the number of short sales in South Miami is usually extremely limited, there are some special deals from time to time for buyers who know how to navigate the market. The Forster Team has extensive short sale experience and can help you find and close a short sale in South Miami, although the process can often take 3-6 months to complete and is not right for every buyer. 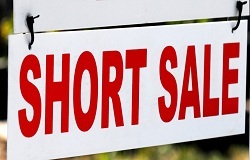 Considering a Short Sale in South Miami?